Max Lyons, the president and CEO of Hillsboro Aviation, said investment groups interested in buying the company's flight school have approached him "many times." And every time, he said "No," until last month. Hillsboro Aviation has sold its flight-training division in a transaction that closed Nov. 21, Lyons said Tuesday in his office, though Lyons will remain CEO of the school, dubbed "Hillsboro Aero Academy," and retain a minority ownership. The buyers are Renovus Capital, a Pennsylvania-based $180 million private equity fund focusing on education, and Graycliff Partners, an independent investment firm previously operating as HSBC Capital with offices in New York and Brazil, according to a news release. Lyons declined to reveal the terms of the sale but described it as a "bittersweet" moment. A former helicopter student at the company, he was hired as a helicopter flight instructor in 1988 and played a large part in Hillsboro Aviation's growth. The business is the largest flight school on the West Coast, Lyons said, and students come from all over the world to learn to fly in Hillsboro. "It just seems like the right time," said Lyons, who recently turned 60. Lyons and Hillsboro Aviation General Manager Jon Hay said the day-to-day operations of the flight school aren't likely to change as a result of the sale. Hay will eventually take over as CEO and is also a minority owner of the Aero Academy, Lyons said. "All of the management is really staying the same," Hay said. Hillsboro Aviation will retain its flight charter business – the company provides helicopters for everything from television news stations to search-and-rescue operations – and continue to sell airplanes, helicopters and fuel. The Port of Portland, which operates Hillsboro Airport, approved a 35-year ground lease in October so the company can build a new hangar for aircraft maintenance, fueling and sales. It will be the first hangar on the north side of the airport. Lyons said the company will continue to grow in its other locations in Prineville and Troutdale, but not any longer in Hillsboro. "We're at a very comfortable level in Hillsboro," Lyons said. Of the company's approximately 270 employees, about 200 will move over to the Aero Academy, Lyons said. Seventy-five of Hillsboro Aviation's approximately 90 aircraft will also move to the newly created company. "I love the company, the flight-training side," Lyons said. "It's something that's very rewarding. People come here, and they smile." FORT BRAGG, N.C.—The military says cargo planes from the Army and Air Force collided in the air over North Carolina, but no one was injured. The Air Force’s 440th Airlift Wing based at Fort Bragg’s airfield said Tuesday the collision happened around 8:30 p.m. Monday. Air Force spokeswoman Maj. Lisa Ray says the Army C-27J and the Air Force C-130H were able to land without injuries. Ray says neither plane can fly, but she didn’t know if that was because of damage or if they hadn’t been thoroughly inspected. She said she didn’t know how air-traffic controllers failed to prevent the collision, the extent of the damage to the planes or the altitude over the Army post when they hit each other. The funeral will be Saturday, December 6 at 1PM in the Tooele South Stake Center, 1025 Southwest Drive, Tooele. A viewing is scheduled the night before at Tate Mortuary, 110 S Main Street, Tooele. 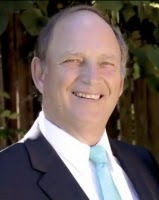 Major Claus Hauer (Ret), 65, died December 2, 2014, in a tragic helicopter crash in Salt Lake City, Utah, with his friend and business partner, Bruce Orr. Claus was born in Berlin, Germany to Werner Hauer and Ruth Herrmann. Claus married his eternal companion, Donna Guzman, on May 5, 1973, in Agana, Guam. His many varied interests and talents led to a fulfilling life in both work and play. After enlisting in the Navy and working as a surgical technician, he found his lifelong passion in Aviation. The US Army offered him the opportunity to fix and fly helicopters and sent him, Donna, and family to many theaters throughout the world. Claus had an infectious personality, was fearlessly sociable, and had a very giving soul that touched the lives of all who knew him. He loved Golf and sought out courses everywhere he went. He loved anything in the outdoors or high-adventure activities. He often fell asleep watching sports of any kind on TV. He took pride in his work and believed if a job was worth doing, it was worth doing right. Claus and Donna recently returned from a successful and rewarding mission for the Church of Jesus Christ of Latter-day Saints in El Paso, Texas. Claus held many titles and accomplished much in this life: Respected Son, Loyal Husband, Admired Father, Grandpa, Eagle Scout, Elder, Bishop, Missionary, Master's Degree Recipient, Teacher, Decorated Soldier-Major (R), Accomplished Pilot, and Friend. Claus was preceded in death by his mother, Ruth Herrmann. Claus is survived by his father, Werner (Anna Marie), siblings Carola and Thomas (Theresa), wife, Donna, children, Jason (Jesyca), Christopher (Pamela), Katherine (Jerry), Matthew, and Jennifer (Michael), and 13 grandchildren. 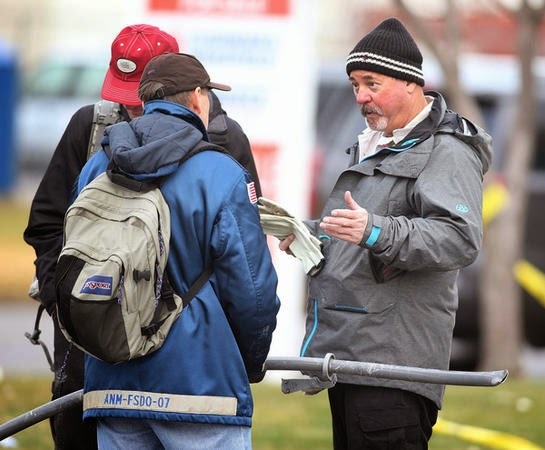 NORTH SALT LAKE — Two men killed in a helicopter crash here were on a routine maintenance test flight, a colleague said Wednesday. The men, identified as Claus Hauer, 65, of Sandy, and Bruce Orr, 63, of Tooele, worked for an aircraft repair business and were taking a client’s helicopter for a test flight when it crashed into a roof Tuesday, said Rick Swisher, owner of Quicksilver Air Inc.
“Obviously, it was a catastrophic failure of some sort,” said Swisher, who employed Hauer as director of maintenance for his company that specializes in helicopter support for wildlife capture. 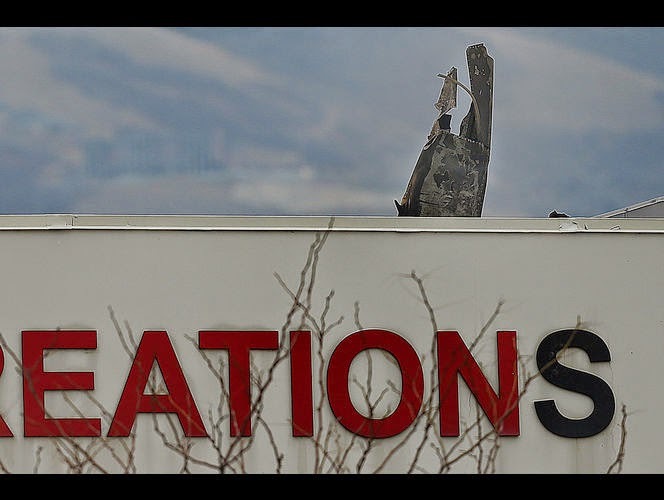 The Robinson R-44 had just taken off from the Sky Park Airport in Bountiful when it crashed into a building in an industrial area of North Salt Lake about 2 p.m. Tuesday, authorities said. Federal investigators are looking into what caused the crash in an investigation. Orr and Hauer were co-owners of Flight Ready Aviation, an aviation repair business in Woods Cross. The two also co-owned Precision Air Power, also based in Woods Cross, according to family. Orr’s son, Brian Orr, issued a statement on Wednesday about the legacy and impression his father left on all those who knew him. Brian Orr described his father as a great family man who made each of his seven children feel unique and special. “Some of our fondest memories are of flying with him,“ he said adding that Orr taught and coached his four boys in baseball and always loved to hear his only daughter play the flute for him. Bruce Orr is survived by a wife, five children, seven siblings, a mother and 18 grandchildren. Hauer worked as a pilot for the Salt Lake City news station KUTV from about 2002 to 2005, photographer Mike Sadowski said. The pair covered traffic accidents, wildfires and air shows together, though he said Hauer scaled back on his flying time after he had a few hard landings in 2004 and 2005. Swisher said both Hauer and Orr shared a strong religious faith and a zest for life. “I’ve never met two more honest men in my life,” he said. The two-story building was empty when the crash happened, but it left a large hole in the roof, Black said. 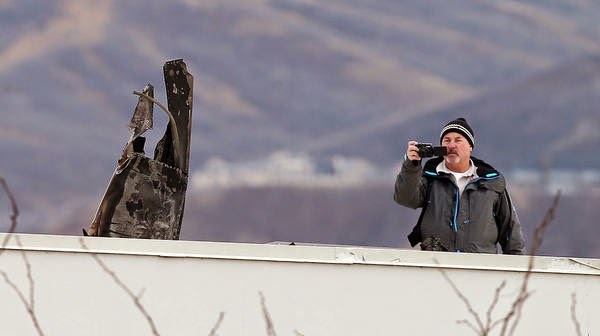 NORTH SALT LAKE — Many questions remain unanswered after a helicopter crashed into a building in North Salt Lake on Tuesday, killing two men. But this much is clear: Claus Hauer and Bruce Orr died doing what they loved. "They had a huge passion for aviation, a huge following of people here at the airport and other airports. A lot of people knew who they were," said Chris Volzer, who oversees incoming and departing aircraft at Skypark Airport in Woods Cross. "Probably some of the nicest people, good-hearted people." But their love for flying and experience with aircraft makes it harder for those who know them to understand what went wrong. "We're in a dazed state. Surreal. We're waiting for information," Orr's son Brian Orr said Wednesday. "Today is a day of walking around not knowing what to do." The two men took off from Skypark Airport in a Robinson R-44 helicopter and crashed onto the roof of a building at 501 W. 900 North just before 2 p.m, according to Federal Aviation Administration spokesman Allen Kenitzer. Ben Tidswell, the pilot for KSL Chopper 5 and "close personal friend" of Hauer and Orr, was sitting in his helicopter at the airport when he saw the helicopter fly by, followed by sounds of mechanical failure. "I watched the helicopter pass by in front of me then go out of sight behind some buildings, and I could still hear the helicopter flying," Tidswell said. "Then I heard 'wink, wink, wink,' and then nothing at all. The engine noise went away; the rotor blade noise went away. There was no noise at all. … Generally, if the sound goes away, that's a problem." Seconds later, Tidswell's mechanic opened the helicopter door and told him he had seen the helicopter break apart midflight. "So we jumped in cars and went over there and looked at all the wreckage sitting everywhere," Tidswell said. Other witnesses also reported seeing the aircraft fall apart in the sky. Volzer said the two men were well-known among local aviators, who mourn their deaths. "It's a very tight community," he said. "If anything happens, good or bad, it spreads fast because it's a very, very close community." The bodies of Hauer and Orr were pulled from the wreckage Tuesday night, according to North Salt Lake police. No one on the ground was injured, but the building sustained significant damage. On Wednesday, the flight's purpose, the original condition of the aircraft and the cause of the crash were all unclear. "I don't think it's worth speculating," Tidswell said. "I would say this: It is incredibly rare for any kind of aircraft, whether it be helicopter or fixed-wing, to break up in flight like that. There's going to be a lot of questions that need to be answered." The National Transportation Safety Board is investigating the crash in conjunction with the Federal Aviation Administration and the helicopter's manufacturer. Investigators were taking GPS plots of the wreckage and gathering witness statements Wednesday, according to National Transportation Safety Board spokesman Andrew Swick. Swick said a preliminary report will be completed within a week with basic information and witness statements. But a final report with the official determination of what caused the crash could take as long as 18 months to complete, he said. Investigators are considering elements such as weather, human factors, safety of flight, maintenance backgrounds and the pilot's experience, Swick said. "Right now, we're just gathering those facts," he said. "Witness statements are coming in. Once we look at those, we'll assess what we have." Hauer, of Sandy, was a pilot of more than 30 years and was licensed to fly both helicopters and planes. He was a chopper pilot for KUTV from 2002 to 2005. In 1999, Hauer was piloting a single-engine Cessna Sparrowhawk 152 as a flight instructor with a student. During the flight, the plane began to sputter and Hauer noticed the fuel gauge drop rapidly. He then took over control of the plane and crash landed it in a tree in Murray, avoiding busy street traffic nearby. The student credited Hauer with avoiding what could have been a disastrous crash, allowing both men to walk away uninjured. 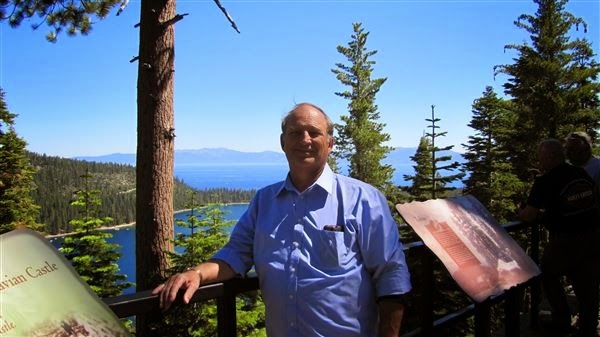 Orr, 63, of Tooele, was a helicopter mechanic and former LDS bishop. Richard Orr spoke of his father's long-held passion for working with aircraft. "He would take me into work, and I'd get to hang out with him," Richard Orr said. "Some of my earliest memories are being in airplanes." Brian Orr highlighted his father's combined love for faith, family and flying. "My father was an incredible, faithful, loving man. He loved his family, church and work. He is survived by his wonderful wife and five children, seven brothers and sisters, his mother, and 18 grandchildren," Brian Orr said. "He was the rock in the cornerstone of our family," he said. "He was there for us when we needed him to give advice. He served in his church callings faithfully and with all his heart. He will be sorely missed, and we appreciate our faith in knowing we will see him again." (KUTV) Two men are dead after the helicopter they were in crashed on the roof of a North Salt Lake building Tuesday afternoon. Paramedics were able to pull one man out of the burning chopper barely alive, but he died within minutes. The other man's body was still trapped in the charred helicopter hours later. 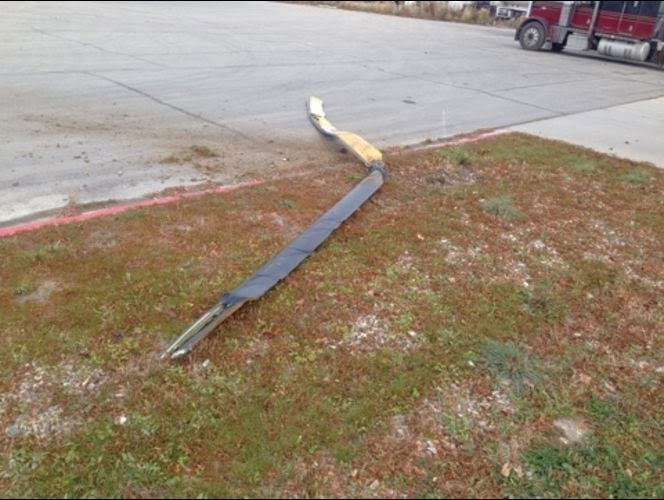 North Salt Lake police identified the men Tuesday evening as Claus Hauer and Bruce Orr. Crews evacuated nearby buildings as firefighters doused the flames, thickened by leaking jet fuel on the roof of Wimpole Street Creations, a craft store at 501 West 900 North. Officers taped off nearly the entire block, strewn with debris. 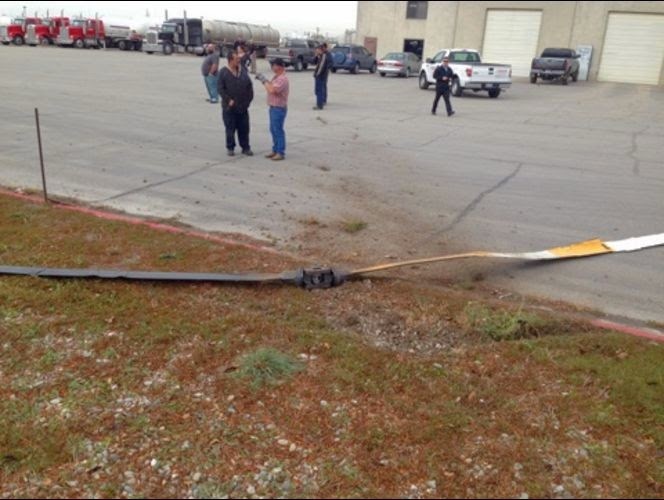 The tail rotor of the helicopter lay in a nearby parking lot. Employees of nearby businesses saw the helicopter just before 2 p.m., when it crashed. "It was 100, 200 feet up in the air. I noticed a lot of smoke, and next thing I know a big explosion," said Vartkes Megerdichian. It "lost the back part of the helicopter, turned toward its right, blaze going everywhere, parts flying around." James Sedgwick said he heard the explosion while inside his work and immediately knew it was an aircraft. "I just heard a big, 'Thump, thump, thump, boom!" Sedgwick said. "I opened up the door, and everything was falling." No one was else was hurt, according to North Salt Lake police. The Federal Aviation Administration is investigating the cause of the crash with the assistance of multiple local agencies. Police did not immediately identify the owner of the helicopter. A building inspector was planning to go inside the building to assess any structural damage on Tuesday evening. NORTH SALT LAKE — Two men were killed Tuesday when their helicopter crashed into a vacant two-story building. The crash occurred just before 2 p.m. at 501 W. 900 North. The names of the men who died were not immediately released. North Salt Lake Police Chief Craig Black did not know Tuesday afternoon whether the helicopter was a commercial vehicle or was being used for training. Sky Park Airport in Woods Cross is very close to the crash site and has a high number of daily helicopter flights. The building that the helicopter crashed into was vacant, Black said. The Federal Aviation Administration was expected to arrive at the scene to investigate. A cause of the crash was not immediately known. Several witnesses said they saw the tail rotor break off the helicopter. "I hear this helicopter flying right over me and then I hear this engine thrust really loud and then something exploded and (a) piece of the rudder came out of the helicopter," said Vartkes Megerdichian. "It flipped sideways and another explosion happened and shot the helicopter forward. "There were parts everywhere coming down." Ben Tidswell, the pilot for KSL Chopper 5, was at Sky Park Airport when he heard a strange noise — "the sound of things coming to pieces big time" or "an in-flight breakup." Moments later, Tidswell said his mechanic pounded on his door and told him he had just witnessed the helicopter fall apart in midair and crash. "The entire tail rotor and assembly is sitting about 200 yards away from where the rest of the aircraft crashed down into the building. The aircraft itself was smoldering, seemingly on fire in the building, completely inside the building," he said. Jordan Anderson was walking nearby when he also heard the chopper. "I heard a loud, best way to describe it is a backfire, like an engine backfire," he said. "Right after I heard that loud bang. I just saw it tank right to the ground." Bob Costagno was on the phone at a nearby business when he looked up and saw the crash. "It made a sound like it was breaking apart, like backfiring, then the tail shaft broke right off," he said. "It just went straight down. It looked like the guy was trying to get out, but I didn't think he had a chance." Debris from the crash was spread out over a 400- to 500-yard area, Tidswell said. Costagno watched as rescue crews took one person out of the building. "They brought someone out the front door and laid him on the ground and were doing CPR, and then covered him up," he said. That man was pronounced dead at the scene. The second man died inside the helicopter. "(He) would have needed to be extricated to get out and that wasn't possible to do," said South Davis Metro Deputy Fire Chief Dave Powers. A sign at the top of the building says "Wimpole Street Creations." There is a "For Lease" sign in front of the building. Costagno, who works nearby, said he believes the company recently moved out of that building. There were unconfirmed reports that a mechanic had been working on the helicopter for the past several weeks. Black said crews were working Tuesday afternoon on a plan to get the copter debris removed from the building. "The helicopter right now is embedded into the top of that building," he said. NORTH SALT LAKE — Authorities are trying to determine why a small helicopter crashed into a building and caused the death of two people Tuesday. North Salt Lake Police Chief Craig Black said emergency crews received reports that a helicopter crashed into a building at 501 W. 900 North at 1:54 p.m.
Black said two men who were in the helicopter died due to the crash. No one was inside the building at the time of the crash. Orange cones, highlighting aircraft debris, dotted 900 South for several blocks. The odor of burning plastic could still be smelled late in the afternoon. Black said he does not know if the helicopter was a training or commercial helicopter, but that it was a small helicopter. South Davis Metro Fire Deputy Chief Dave Powers said crews were able to get one man’s body out of the helicopter. Medical personnel worked on the man for about 15 minutes before pronouncing him dead. The other man in the helicopter was already dead when crews arrived, Powers said. Black said they do not have the names of the two men or know who owns the helicopter at this time. The helicopter was embedded in the roof of the building which houses Wimpole Street Creations, an import craft business. Powers said when crews arrived there were flames coming from the helicopter and the building. The helicopter sheared off pipes to the building’s sprinkler system. Firefighters also had to deal with jet fuel coming out of the helicopter. Initially businesses surrounding the building were evacuated until emergency personnel determined it was safe for employees to return to work, Black said. Black said officials believe the helicopter came from Skypark Airport, just north of where the crash occurred. The Federal Aviation Administration has been notified and will also investigate the accident, Black said. James Keeler, who lives a mile from where the crash happened, saw the helicopter fly over his house just moments before it crashed. Several witnesses said they saw the rear rotor come off the helicopter while it was in the air, Black said. Some of those witnesses included students at Foxboro Elementary School, which is just a few blocks away, said Scott Christensen, a physical education teacher. Christensen who was walking into the school heard one teacher tell the students to watch the helicopter. “when all of the sudden the propeller thing went off and it went down and boom,” he said. Black said the investigation into the crash could last until Wednesday because debris from the crash is scattered at least a half mile northeast from the scene. The rear rotor was several hundred yards from the crash in a parking lot. Police had several blocks roped off as they investigated. Agencies at the scene included police agencies from North Salt Lake, Bountiful, West Bountiful and Woods Cross, as well as Davis County Sheriff’s Office and South Davis Metro Fire Agency. The Cheddi Jagan International Airport Corporation and the Guyana Civil Aviation Authority today defended the operations of Exec Jet Club whose owner was held last week in Puerto Rico with US$620,000 aboard his private jet. As the agencies directly linked to air travel in Guyana, we would like to correct inaccurate reporting in relation to the Exec Jet Club that is circulated in the public domain. In August 2010, Khamraj Lall expressed an interest in developing a hangar for his aircraft service. December of the following year, the management of Cheddi Jagan International Airport (CJIA) received an application for land to construct a hangar to facilitate his aircraft operations. Mr. Lall indicated that he wanted to operate an Executive Jet Service and Air Ambulance Service in Guyana and presented a sound business plan to push the venture. The Air Ambulance Service was expected to provide an invaluable lifesaving service, while the Jet Service was to facilitate corporate clients. In October 2012, Cabinet approved a lease to allow for the construction of the hangar, which to date is not completed. On the legality of its operations, Guyana Civil Aviation Authority (GCAA) can irrevocable confirm that Exec Jet Club LLC is NOT a Club but rather a Limited Liability Company. The company was never granted a blanket approval to operate into Guyana, rather approval was granted by GCAA on a per flight basis. Exec Jet is authorized to conduct on demand flights for compensation under 4 Code of Federal Regulations (CFR) Part 135 by the Federal Aviation Administration (FAA). The company operates two (2) Westwind 1 Jets under Air Carrier Certificate #R6QA548L, and is authorized to operate into South America among other geographic regions such as Central America and Mexico. Therefore, all of the flights operated into and out of Guyana by Exec Jet are legal and the company is duly authorized to conduct such flights by competent aeronautical authorities. Further, all of Exec Jet Club’s flights must adhere to CJIA’s established standard operating procedures (SOPs) for all flights into and out of Guyana. These procedures require that the flights be processed on the International Apron and must be cleared by Customs, Immigrations, CANU and other Law Enforcement Agencies. Checks with Senior Representatives of these agencies have confirmed that their SOPs were followed in every instance for all of Exec Jet Club flights. Additionally, at no time was any instruction given to the staff to waive the airport security procedures with regards to Exec Jet Club’s staff ingress and egress at the airport. The CJIA’s Security supervisors have verified that at all times these checks were carried out as is customary for all operators accessing the restricted areas at the airport. While these agencies can access their facilities, they cannot access the airside or restricted areas of the airport without the approval of airport security. Because the construction work is yet to be completed, the keys to the gates of the Exec Jet Club Hangar are with CJIA Security Department. SAIPAN – A number of passengers found themselves again in a bind last weekend as Cape Air decided to cancel flights. Flights for Friday night and Saturday morning were cancelled; however, the airline tried to assist them by transferring them to other airlines so they could proceed with their journey. The airline said normal operations resumed Nov. 30. “Our customer service teams in both Guam and Saipan provided assistance to our customers and made the necessary travel arrangements for them to complete their travel,” Cape Air said in a statement released to Variety. A Chinese tourist and female companion were complaining about being stuck on island for two days. However, Cape Air managed to make arrangements for them so they could be booked for the 4:20 p.m. Delta Air Lines flight last Saturday. Other passengers were transferred to Asiana Airlines. Acknowledging the inconvenience to the passengers, United through Cape Air distributed hotel and food vouchers to the affected passengers. “We realize this is an inconvenience to our customers and we apologize for the disruption,” the airline’s statement said. According to a family member, the noninstrument-rated private pilot was planning to refuel the airplane on the evening of the accident. After purchasing fuel, he subsequently departed in night instrument meteorological conditions, which included low clouds and mist. A witness heard the airplane flying overhead and then sounds associated with increased engine power, followed by a loud crash. 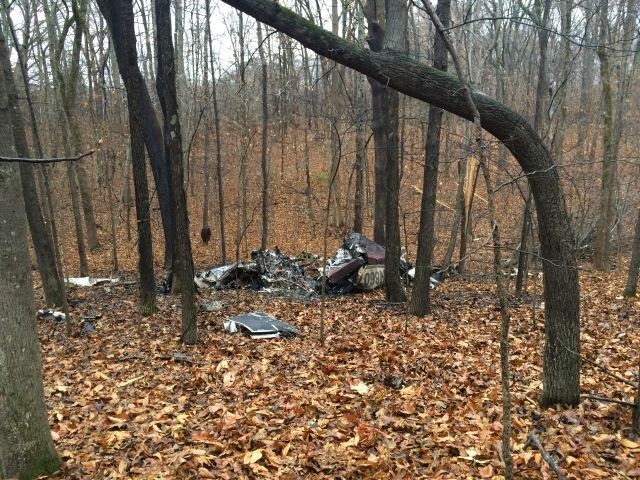 The airplane impacted a heavily wooded area about 0.75 mile from the departure airport and was destroyed by impact forces and a postcrash fire. Examination of the airframe and engine did not reveal any anomalies that would have precluded normal operation. Dark night instrument meteorological conditions can lead to spatial disorientation, particularly for a noninstrument-rated pilot. In addition, the wreckage distribution and the witness observation of increasing engine noise and the wreckage are consistent with the pilot losing control of the airplane due to spatial disorientation. The pilot’s toxicology results identified ethanol at 0.109% in muscle tissue and 0.039% in brain tissue. Although some of the ethanol may have been produced postmortem, it is likely that some was ingested before the accident. In addition, chlordiazepoxide (a prescription medication for the treatment of anxiety) and its metabolite, nordiazepam, were detected in the liver. It is likely the combined effects of chlordiazepoxide and ethanol significantly impaired the pilot’s executive functioning, judgment, and decision-making, leading to his decision to fly in weather that he was unprepared to manage. The noninstrument-rated pilot's improper decision to attempt visual flight in instrument meteorological conditions, which resulted in an in-flight loss of airplane control due to spatial disorientation. Contributing to the accident was the pilot’s impaired decision-making due to the effects of ethanol and chlordiazepoxide. On December 1, 2014, at 1930 central standard time, a privately owned and operated Piper PA-28-235, N8607W, collided with terrain after takeoff from Fayette County Airport (FYE), Somerville, Tennessee. The private pilot was fatally injured, and the airplane was destroyed. Night instrument meteorological conditions prevailed around the time of the accident and no flight plan was filed. The personal flight departed FYE about 1915, and was conducted under the provisions of 14 Code of Federal Regulations Part 91. According to the wife of the pilot, she last saw the airplane in their hangar on the night of the accident. She believed that her husband was going to taxi over to the fuel pumps to refuel the airplane for a trip he was planning. When he did not come home that evening, she contacted the local authorities to report that her husband was missing. 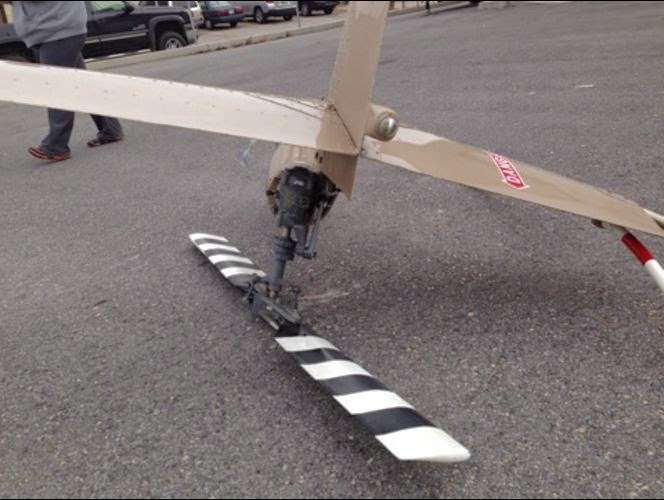 The local sheriff's department searched the airport and did not locate the airplane. The Federal Aviation Administration (FAA) was contacted by the local sheriff's department and an Alert Notice (ALNOT) was issued. A witness stated that, on the night of the accident, it was dark and misting. He heard an airplane flying overhead, and then heard the engine "rev up" before hearing a loud crash. The witness said that although he heard a crash, he was not sure what caused the sound and did not report it to the authorities. On the following day, after hearing about a missing airplane, he contacted the authorities and directed them in the direction of the sound he heard. A search ensued and the airplane was located 3/4 mile from FYE, at 0930. The pilot, age 53, held a private pilot certificate with an airplane single-engine land rating. He did not possess an instrument rating. The pilot was issued an FAA third-class medical certificate on March 27, 2014, with a limitation, "Must wear corrective lenses and possess glasses for near vision." At that time the pilot reported no medical problems or use of medications. In addition, he listed a total flight time of 505 hours. The pilot's logbook was not retrieved and the status of his last flight review was not determined. The airplane was manufactured in 1963 by Piper Aircraft, as a model PA-28-235, and was designated serial number 28-10122. It was powered by a 250-horsepower Lycoming O-540 series engine, and equipped with a two-bladed, metal, fixed pitch McCauley PFA8069 propeller. The last annual inspection of the airframe and engine occurred on October 1, 2013, at a tachometer time of 2,557.7 hours. A review of FYE fueling records revealed that the pilot purchased 39 gallons of 100 Low-Lead aviation gasoline at 1907, on the evening of the accident. The most recent weather observation at FYE was recorded about 4 hours after the accident; however, a weather observation at the Olive Branch Airport (OLV), approximately 24 nautical miles from FYE, at 1850 reported the following weather conditions: wind from 020 degrees at 9 knots, visibility 4 statute miles with mist, cloud conditions were overcast at 400 feet above ground level (agl), temperature 1 degree Celsius, dew point 1 degree Celsius, and altimeter setting 30.42 inches of mercury. 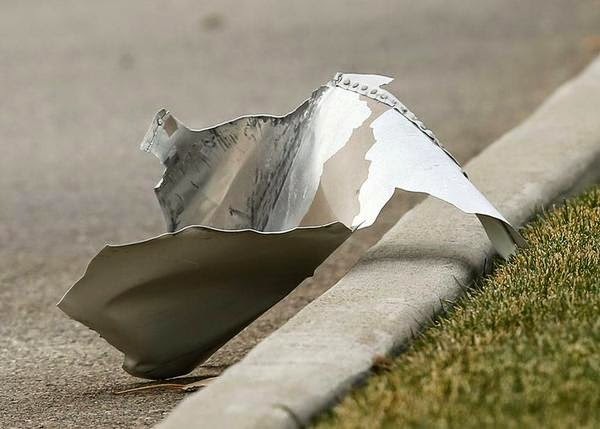 The airplane crashed in a heavily wooded area adjacent to FYE, and the debris path was on a 160-degree magnetic heading and was approximately 100 feet in length. Throughout the debris path there were several freshly-cut tree limbs. A postimpact fire consumed most of the airplane. The propeller was separated from the engine, but was found in close proximity to the main wreckage. fire. The instrument panel and all instruments were destroyed by ground impact and fire. All circuit breakers and switches were destroyed. The firewall was separated and the engine was partially separated from the firewall. The nose gear was attached at the engine mount and the tire assembly was separated from the strut tube. Flight control cables were located within the wreckage and displayed overload failure signatures. The rudder bar was in place and was impact and fire damaged. The T-Bar had the aileron and stabilator cables attached. Rudder and stabilator control continuity was verified. The control wheels and shafts were destroyed by fire. The stabilator and rudder trim position indicators were destroyed. The flap lever was noted to be in the 10-degree position. Trim cable continuity was established to the forward cabin area. The engine power and carburetor heat levers were destroyed by ground impact and fire. The fuel control valve was impact and fire damaged. The fuel tank selector position could not be determined due to valve damage. Examination of the left wing revealed it was separated and fragmented. The flap and aileron were destroyed by fire. The main fuel tank and the tip tank were breached and destroyed by fire. The fuel caps were found in the debris field adjacent to the main wreckage. The left main landing gear was impact and fire damaged. The stall warning vane switch was separated, lying in the debris field, and was free to move up and down. 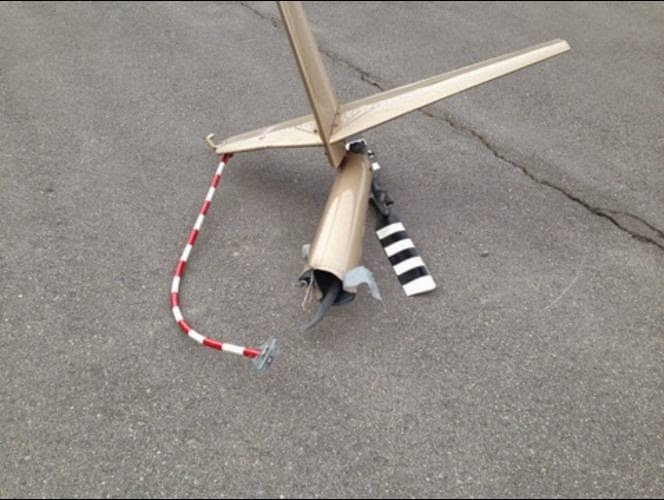 The pitot mast was not located and all pitot/static lines were impact and fire damaged. Aileron control cable continuity was established through the frayed cable breaks to the fuselage. The flap actuating rod was separated from the attachment points. Examination of the right wing revealed it was destroyed by fire. The flap and aileron were separated and fire damaged. The main landing gear was destroyed by fire. Both fuel tanks were breached and destroyed fire. Examination of the left and right stabilator halves revealed they were destroyed by ground fire. The stabilator trim tab was attached to a portion of the stabilator fragments. Control cable continuity was established forward to the control "T-Bar". A portion of the vertical fin leading edge section with a portion of the rudder attached was in a tree at the initial impact point. No preimpact airframe anomalies were noted during the examination. Examination of the engine revealed that it remained partially attached to the firewall by the control cables and was laying forward and right side low. The carburetor, left magneto, vacuum pump, alternator, and part of the starter were impact separated from the engine. The exhaust and induction tubes were impact damaged. The engine was rotated by turning a tool inserted in the vacuum pump drive pad. Continuity of the crankshaft to the rear gears and to the valve train was observed. Compression and suction were observed from all six cylinders. The No. 3 intake tube was impact separated and the intake port was packed full of dirt. The Nos. 2, 3, 4, 5 and 6 top spark plugs were removed and displayed normal signatures when compared to the Champion Aviation Check-A-Plug chart. The No. 1 top and Nos. 2, 3, 4, 5, and 6 bottom spark plugs were not removed. The ignition harness was destroyed. The left magneto was impact damaged and sparked at all ignition towers when rotated. The right magneto was rotated and sparked at all ignition towers when rotated. Examination of the propeller revealed it was separated from the crankshaft and located about 8 feet from the engine. Pieces of wood from impact damaged trees with angular cuts and paint transfers consistent with propeller strikes were observed along the path. Both propeller blades displayed chordwise scoring and one blade was bent forward. The carburetor was fractured across the throttle bore and separated from the engine. The Throttle, mixture and carburetor heat controls were separated and their preimpact positions could not be determined. The fuel hose was separated from the carburetor fuel inlet screen assembly and the screen was open to the elements. The carburetor was partially disassembled and no damage to the internal components was noted. The engine driven fuel pump remained attached to the engine. The pump was removed and produced air when operated by hand. No preimpact engine anomalies were noted during the examination. An autopsy was performed on the pilot by the Office of the Medical Examiner, West Tennessee Regional Forensic Center, Memphis, Tennessee. Toxicology testing performed by the FAA's Bioaeronautical Research Laboratory identified ethanol at 0.109 gm% in muscle and 0.039 gm% in brain. In addition, chlordiazepoxide and its metabolite, nordiazepam, were detected in liver (0.203 ug/g). Ethanol is a social drug that acts as a central nervous system depressant. After ingestion, at low doses, it impairs judgment, psychomotor functioning, and vigilance; at higher doses alcohol can cause coma and death. Federal Aviation Regulations, Section 91.17 (a) prohibits any person from acting or attempting to act as a crewmember of a civil aircraft while having 0.040 gm/dL (gm%) or more alcohol in the blood. Ethanol may also be produced by microbial action in post mortem tissues. Chlordiazepoxide is a long acting benzodiazepine indicated for the treatment of anxiety disorders, the short-term relief of symptoms of anxiety, withdrawal symptoms of acute alcoholism, and preoperative apprehension. Generally, treatment for more than 4 months is not recommended. It carries the following warning, "Chlordiazepoxide may impair the mental and/or physical abilities required for the performance of potentially hazardous tasks such as driving a vehicle or operating machinery." In addition, "The concomitant use of alcohol or other central nervous system depressants may have an additive effect. PATIENTS SHOULD BE WARNED ACCORDINGLY." Chlordiazepoxide is a Schedule IV controlled substance, commonly marketed with the name Librium. Nordiazepam is one its psychoactive metabolites. FAA Advisory Circular (AC) 60-4A, "Pilot's Spatial Disorientation," states, in part: "The attitude of an aircraft is generally determined by reference to the natural horizon or other visual references with the surface. If neither horizon nor surface references exist, the attitude of an aircraft must be determined by artificial means from the flight instruments. Sight, supported by other senses, allows the pilot to maintain orientation. However, during periods of low visibility, the supporting senses sometimes conflict with what is seen. When this happens, a pilot is particularly vulnerable to disorientation. The degree of disorientation may vary considerably with individual pilots. Spatial disorientation to a pilot means simply the inability to tell which way is "up." The AC notes that a disoriented pilot may place an aircraft in a dangerous attitude. The AC recommends that pilots obtain training and maintain proficiency in aircraft control by reference to instruments and to "not attempt visual flight rules flight when there is a possibility of getting trapped in deteriorating weather." False visual reference illusions may cause you to orient your aircraft in relation to a false horizon. These illusions are caused by flying over a banked cloud, night flying over featureless terrain with ground lights that are indistinguishable from a dark sky with stars or night flying over a featureless terrain with a clearly defined pattern of ground lights and a dark starless sky. On December 1, 2014, about 1930 central standard time, a Piper PA-28-235, N8607W, collided with terrain during an uncontrolled descent in Somerville, Tennessee. The private pilot was fatally injured, and the airplane was destroyed. The airplane was registered to and was operated by a private individual. The personal flight was conducted in night, instrument meteorological conditions and no flight plan was filed. The flight departed from Fayette County Airport (FYE), Somerville, Tennessee, about 1915. According to the wife of the pilot, she last saw the airplane in their hangar on the night of the accident. She believed that her husband was going to taxi over to the fuel pumps to refuel the airplane for a trip he was planning. When he did not come home that evening she contacted the local authorities to report that her husband was missing. The local sheriff's department searched the airport and did not locate the airplane. The Federal Aviation Administration was contacted by the sheriff's department and an Alert Notice (ALNOT) was issued. A witness stated that, on the night of the accident, it was dark and misting. He heard an airplane flying overhead, and then heard the engine "rev up" before hearing a loud crash. The witness said that he believed he heard an airplane crash but did not report the incident to the local authorities. On the following day after hearing that an airplane was missing he contacted the authorities and directed them in the direction of the sound he heard. A search ensued and the airplane was located ¾ from FYE on December 2, at 1000. It was in a heavily wooded area, and the debris path was on a 160 degree magnetic heading and was approximately 100 feet in length. Throughout the debris path there were several fresh cut tree limbs. 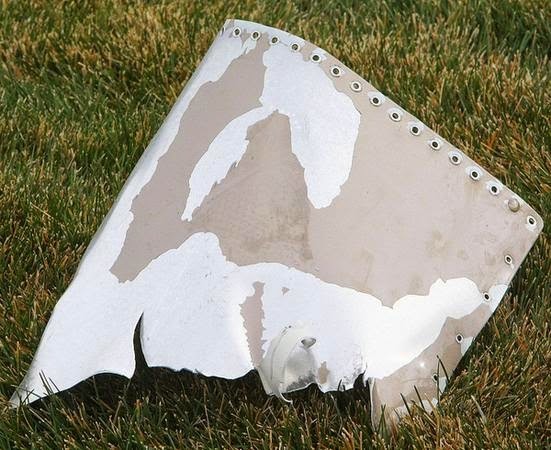 All flight control surfaces were located at the accident site. At 1850, the automated weather observation station at the Olive Branch Airport (OLV), Olive Brach, Mississippi, reported wind 020 degrees at 09 knots, visibility 4 statute miles with mist, cloud conditions overcast at 400 feet above ground level (agl), temperature 01 degrees Celsius, dew point 01 degrees Celsius, altimeter setting 30.42 inches of mercury. Olive Branch is located about 25 miles southwest from the accident site. FAYETTE COUNTY, TN (WMC) - The Fayette County pilot who was last seen at the Fayette County Airport around 7 p.m. on Monday was found dead inside his plane by someone who lives near the airport. The plane crashed two miles away in a wooded area. According to the sheriff's office, the 57-year-old pilot told his wife he was going to work on his plane and get fuel in Covington. 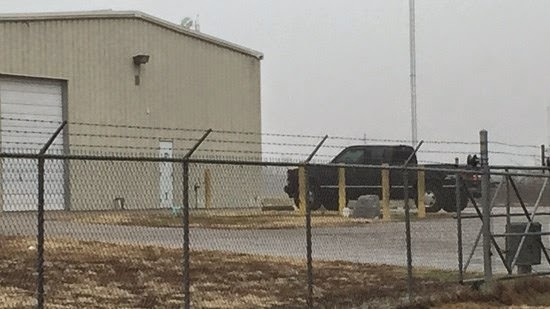 The man's truck was found at the airport, but his plane was gone. The pilot had nine years of experience and the plane was 50 years old. It had recently been inspected. "The pilot was going to take a test flight," said Deputy Ray Garcia, Fayette County Sheriff's Office. "Make a circle around the airport and come back ... After we began searching this morning, we did have some neighbors in the area who once they found out we were looking for a missing plane and told us they heard some noises last night that sounded like possibly a crash." Federal Aviation Administration and National Transportation Safety Board are investigating the fatal crash. "The plane was broken up pretty bad," Garcia said. "When you have a small airplane like that, it's pretty devastating." 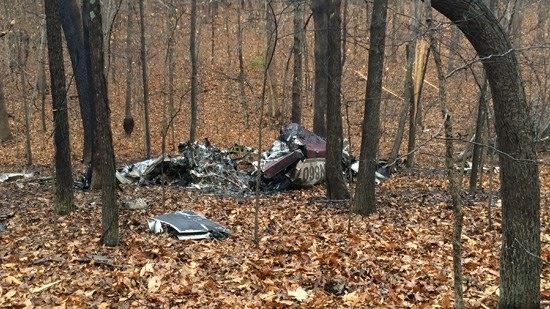 FAYETTE COUNTY, Tenn. (FOX13) - A single engine Piper airplane crashed sometime last night killing the pilot. It happened in a wooded area about a mile from the Fayette County Airport. FOX13 has just confirmed the plane passed a safety inspection Monday, the day of the crash. NTSB is expected to arrive on the scene Wednesday to clear the wreckage. No word on when the medical examiner will identify the crash victim. Fayette County Sheriff's Office is actively searching for a man who was last seen working on his plane around 7 p.m. Monday night. The plane is missing. There was no flight plan logged. Civil Air Patrol is assisting in the search and working to check the area.